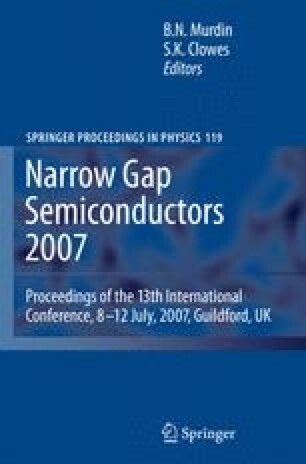 In the present contribution, THz pulses were used for investigating carrier dynamics in the narrow-gap semiconductors. The measurement of the optically induced THz pulse absorption transients provided with important insights on the electron energy relaxation in the conduction band. In the second set of experiments THz generation from the surfaces of various semiconductors have been studied and compared. A substantial increase of the emitted THz power from CdHgTe surface was observed after lowering the sample temperature from 300K to 80K.